Everyone is an Artist! Pick a ceramic project, paint it, we fire it in our kiln and you take. Come alone or schedule a group event. Prices vary depending on what project you select. 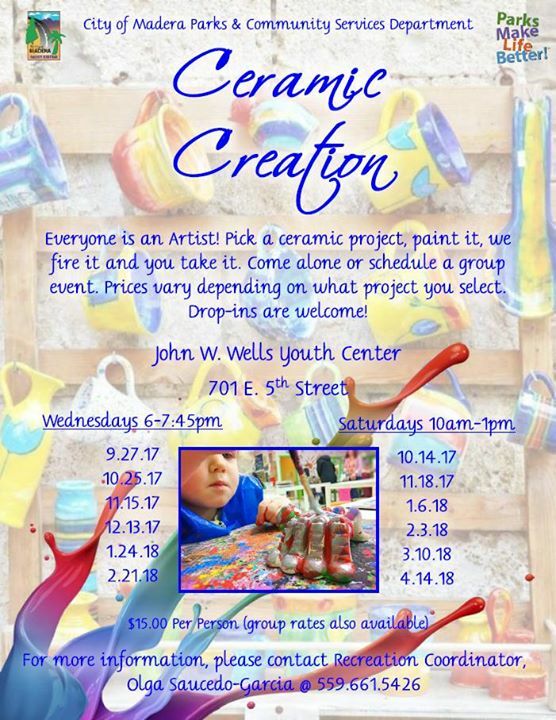 This is a Drop-in creation oppertunity.